Thus begins the fairy tale of a maiden who went searching for her love in a castle East of the Sun, and West of the Moon and her many trials and tribulations on the way. It was also the story that Melissa gave to me as inspiration for her girl. East of the Sun and West of the Moon is a lovely story originating from Norway, with questionable morals along lines of “don’t listen to your mother, listen to your captor bear”, “persevere to right your wrongs” (the last one isn’t too bad). This girl, because of love-advice from her mother screws up really bad, and banishes her love to a castle that is almost inaccessible. She travels to this castle to find her love, and on her way receives help from a few witches who give her a golden apple, a golden harp and golden carding combs. She rides day and night and on the winds of the north to arrive at the castle and to claim back her love. She sleeps in a castle filled with golden and silver before she sets out on her journey. 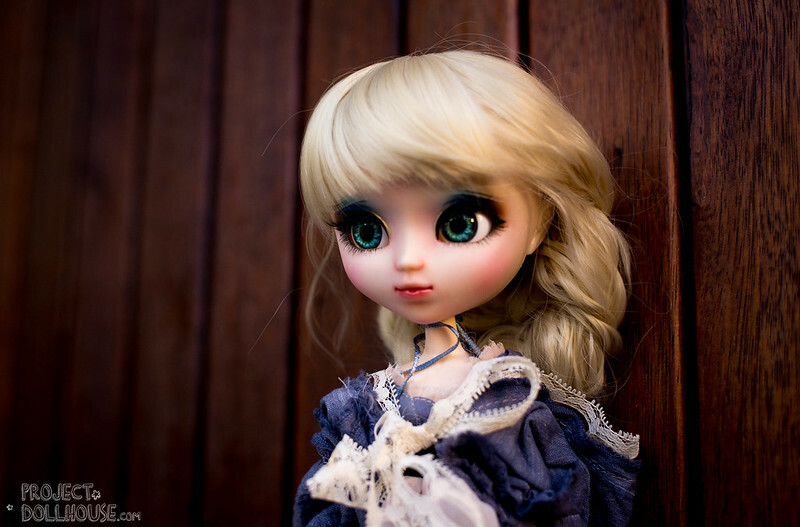 I had as much fun making her props and her outfit as I did doing her face-up. 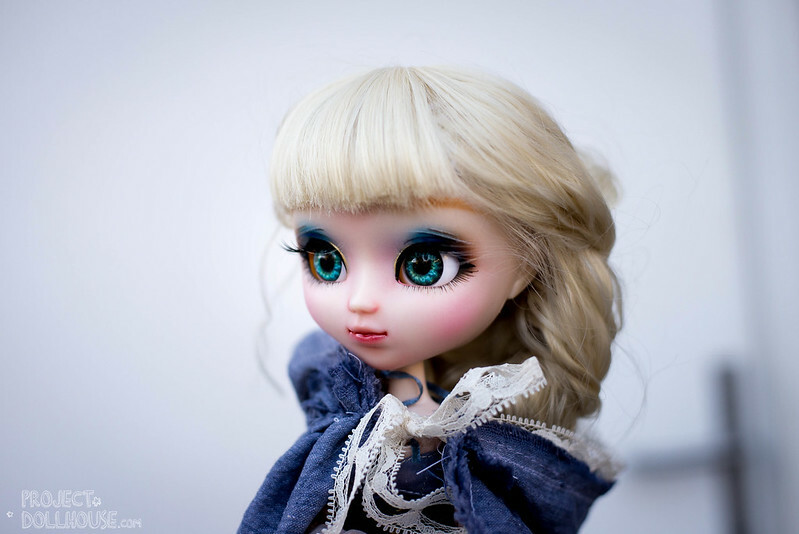 Her eyebrows are drawn a pale blond, her eyes a smokey brown blended with navy to give her that-wide eyed look. She’s faintly blushed in a magenta pink, with peachy lips. 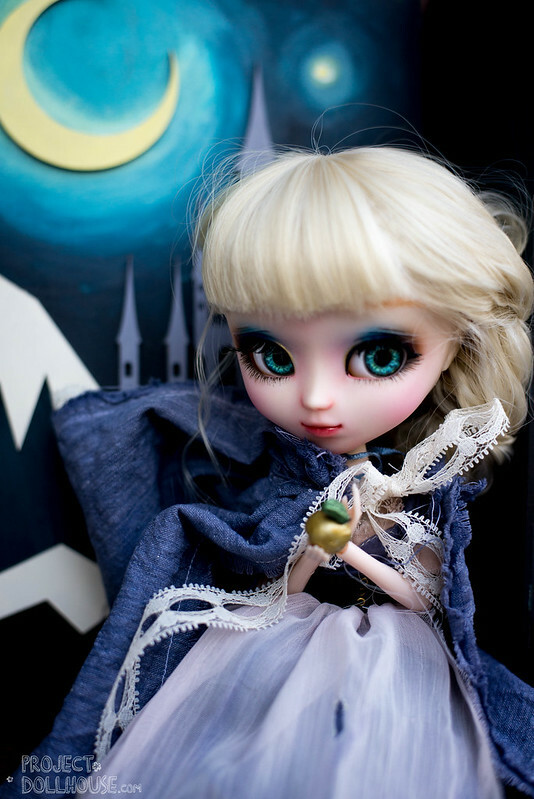 Her eyelids are painted the colour of shimmering starry night with the moon and the stars and the northern wind. 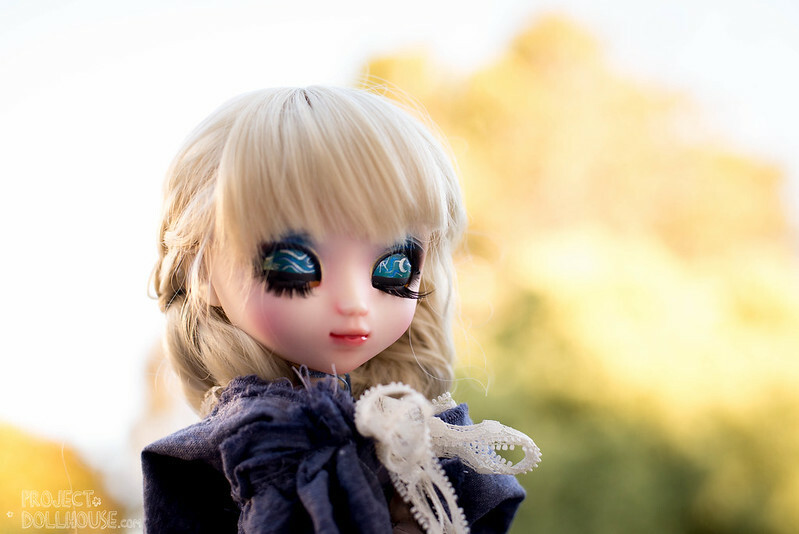 I tried a lot of eyechips before I settled on this one, this gorgeous ocean-blue set by Kirakira (unfortunately she no longer makes eyechips) which I think really brings out her beauty. 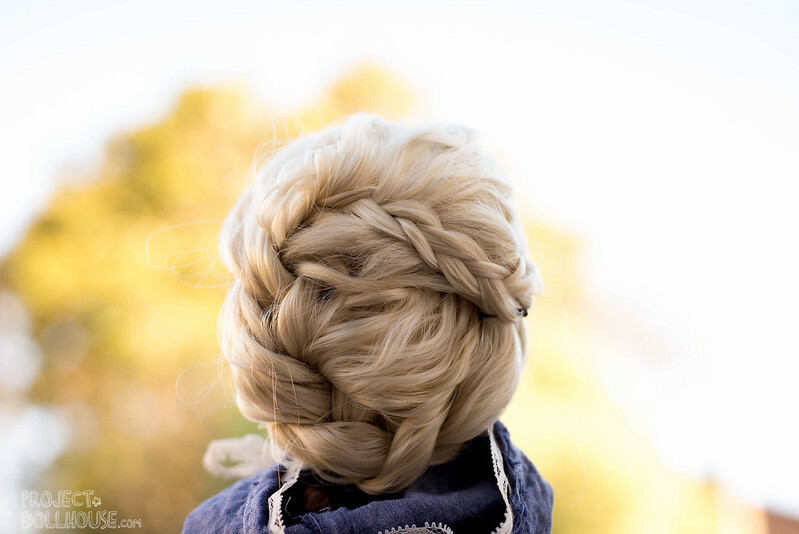 Her wig is a lovely, flowing blond by Leekeworld which I cut and braided in a princess-nordic inspired updo. Along with this, I also created her some props to accompany her on her journey (otherwise how will she convince the evil hag who is keeping her prince captive to let him go?) – a golden harp, a golden apple, and also a set of carding combs. I drew this on a 3D program and had them laser cut (except the apple which I sculpted from clay). Her clothes are started as a base from Bloody Red Hood, which I re-dyed and sewed on some details. I kept her petticoat and her over-dress, and sewed her a brand new journey cloak out of linen and lace. 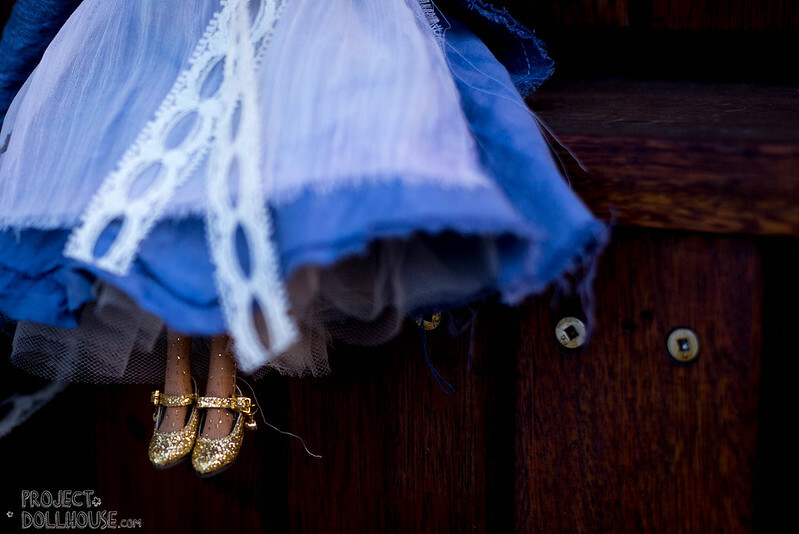 Her feet are clad in sparkling golden shoes, a remnant of when she lived happily in her golden castle, while her dress remains ripped and torn from her journey. Her face-up has been completed with airbrushes, pastels, watercolour pencils and sealed with liquitex liquid matte medium. I also made a box for the maiden to travel in that can double as a photography backdrop. 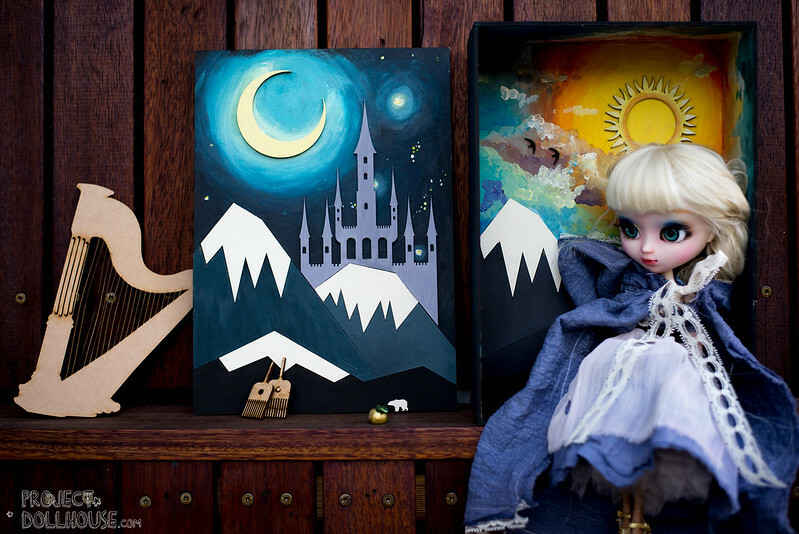 The front of the box is painted with the mountains, and the castle in the distance, and the inside is painted in a different season with the reminder of the bear that took her to her golden palace. At this point I hadn’t finished painting the combs and harp (sorry!) but here she is sitting next to the sun and the moon and the castle beyond either of those. 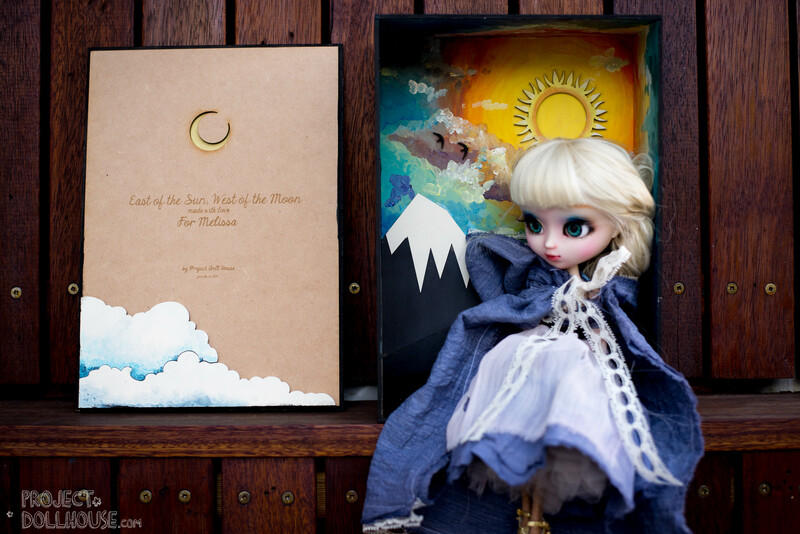 The inside of the box is inscribed with the the name of the story and her new owner’s name. I had so much fun making this girl! I really hope that she loves her new home and that her new owner loves her as much as I have enjoyed creating her and her little world. Absolutely gorgeous! I’m in awe. I am in love with her box as well. you did such an amazing job! 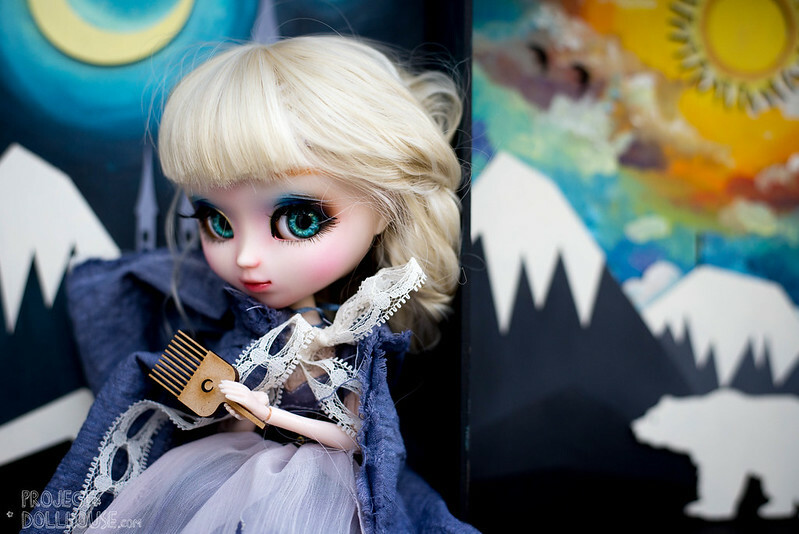 so much detail on the doll and her box. the box is also like her own little world ^^. Thank you so much Olive! Hi Eliza! 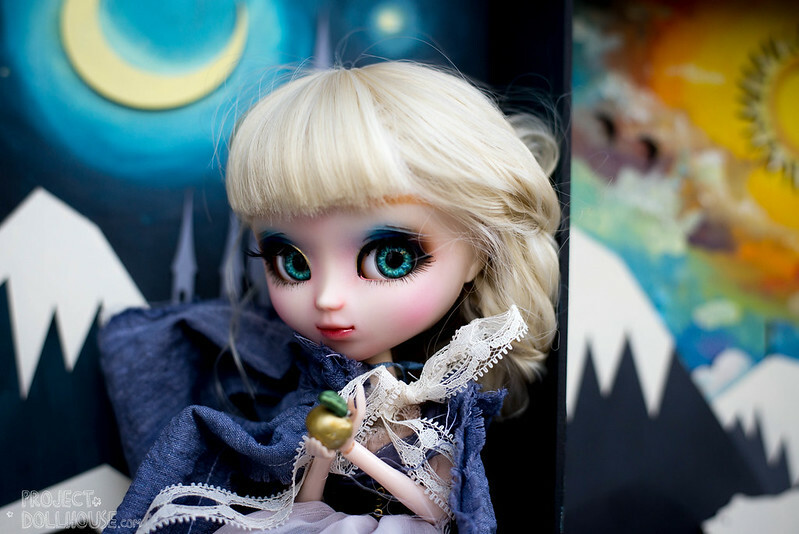 I do commissions at the moment but hope to do full dolls in the future for sale. Thanks for dropping by! 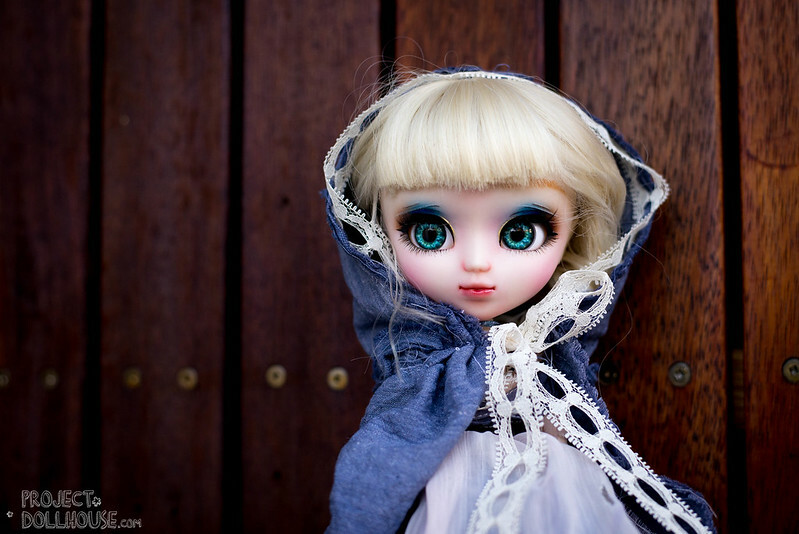 Your dolls are wonderful and this girl is extraordinary. She’s a dream. I loved scrolling through the photos.The little girl who resides inside my heart just kept smiling ~ Thank you! !